On Monday, China celebrated its country’s most ceremonious holiday: Chinese Lunar New Year. As we at Luxury Big Island by Harold Clarke wish our Chinese clients as well as friends, family, and acquaintances living in China and Hong Kong a very Happy New Year, we are reminded that this is a time to celebrate family and enjoy the good fortune the holiday brings. In an increasingly interconnected international market, we understand that many Chinese families are spread across the globe. From children studying abroad to those working across Asia and Europe, families take advantage of the Lunar New Year holiday to come together and visit, shop, and celebrate. Given their central location in the Pacific Ocean, the Hawaiian islands see a significant lift in tourism and shopping during this time. Visitors whose family members reside on both sides of the Pacific are drawn to the islands as a meeting place where they can reconnect in the sunshine and enjoy everything the islands have to offer from swimming in azure waters to world-class golf and spectacular nature activities. At Luxury Big Island by Harold Clarke, we understand the many benefits of owning a home on the Big Island. 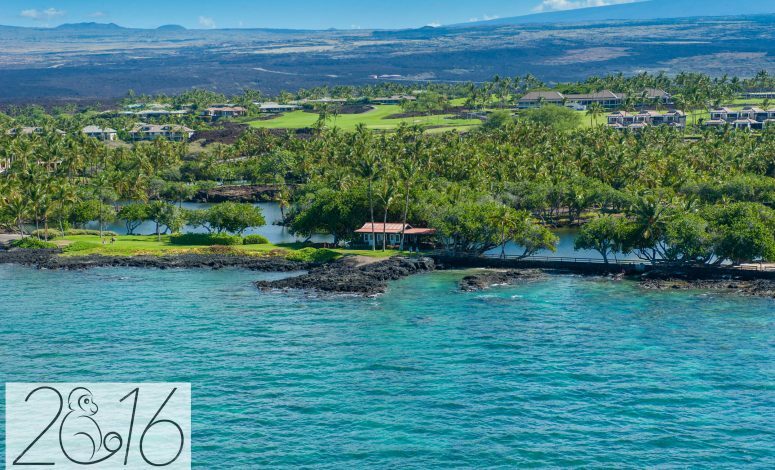 Besides the potential financial benefit of home ownership along Hawaii’s prestigious Kohala Coast, the ease of travel to the Big Island from Asia and Mainland USA means that families can be reunited in less than a day. Busy executives living across California choose their home on the Big Island as a place to reconnect with their immediate family as well as parents, grandparents, aunts and uncles who may still live in Mainland China and Hong Kong. Chinese families who have traveled to Hawai’i for many years choose to invest in a property at some of the world’s most exclusive resorts as a way to help ensure the financial freedom of future generations. Whether you are visiting the island to reconnect with family or to enjoy the splendor of Hawai’i, let us show you how home ownership on the Big Island can be right for you. From all of us at Luxury Big Island by Harold Clarke, we wish you good health, happiness and prosperity in this year of the monkey.